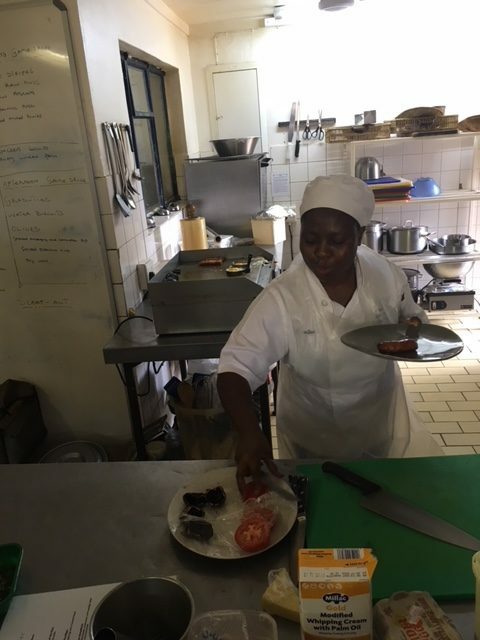 Feeding your soul at Garonga Safari Camp is in the artful hands of our passionate and skilful kitchen staff. And they take your tummy’s satisfaction very seriously. 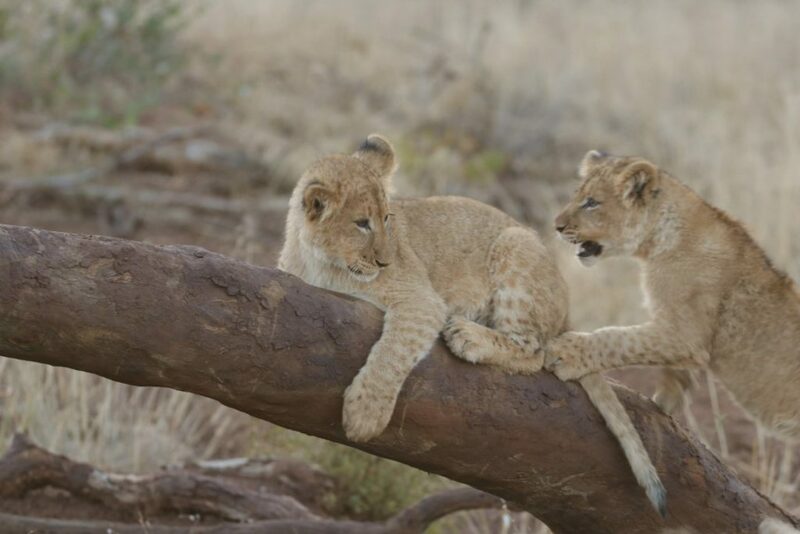 Over the next few months we are going to take you on a journey behind the scenes at Garonga Safari Camp. You will have insight into the love, passion and history behind all aspects of the lodge’s services which, of course, stem from its beautiful people as a foundation. 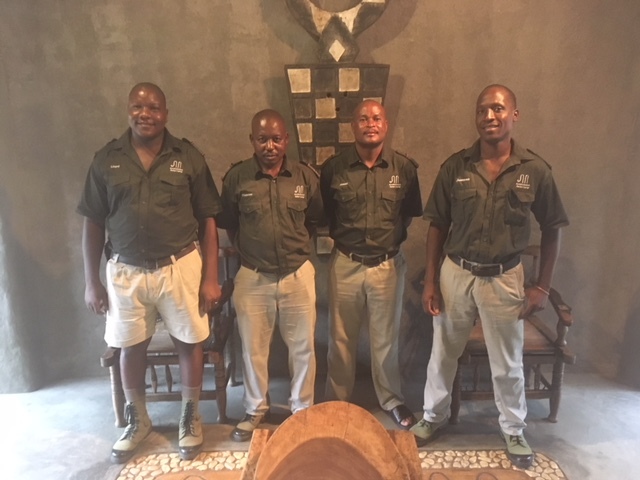 In January we start with a focus on our champion chefs and kitchen staff who not only guarantee that no one ever goes hungry at Garonga but also promise to bust your new year’s diet resolution in a flash. 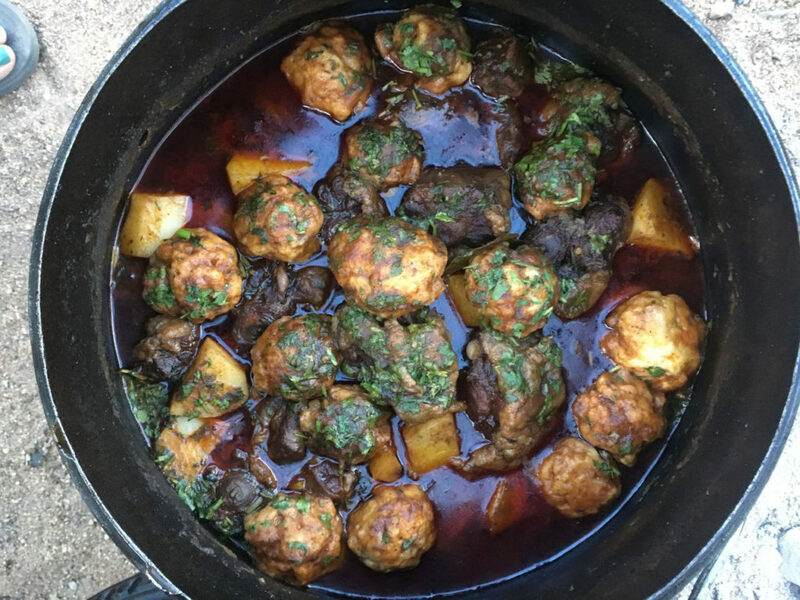 From the droewors (traditional South African dried meat) and spicy corn snacks served on your game drives paired with fabulous wines, to your high tea or potjie (South African stew) night in The Boma, everything is sprinkled with a generous dose of African spirit, energy and a smile. 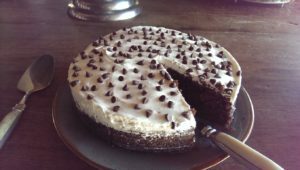 They are even kind enough to share with you their ‘not-so-secret’ recipe for their renowned Amarula Chocolate Cake (see below)…what a lovely bunch they are! Reineth, (our ever faithful!) started at Garonga when we first opened in 1997. Over the years she has performed magnificently, and quite rightly was given the position of Head Chef 10 years ago. During our Closedown in 2016 for 3 months, she spent 3 weeks in a top hotel in Cape Town learning more tricks of the trade. 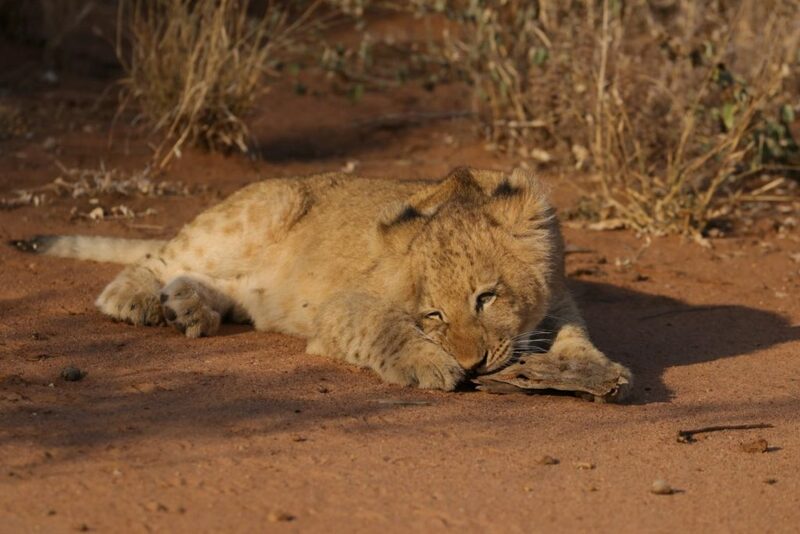 Venecia has been at Garonga a few years now coming across from Makalali. She is a very capable stand-In when Reineth is away and a valuable assistant to her day to day. Syvlvia and Caroline both previously worked in the scullery and over the years learnt cooking techniques by observing the other Chefs. Both are now very capable Sous Chefs. 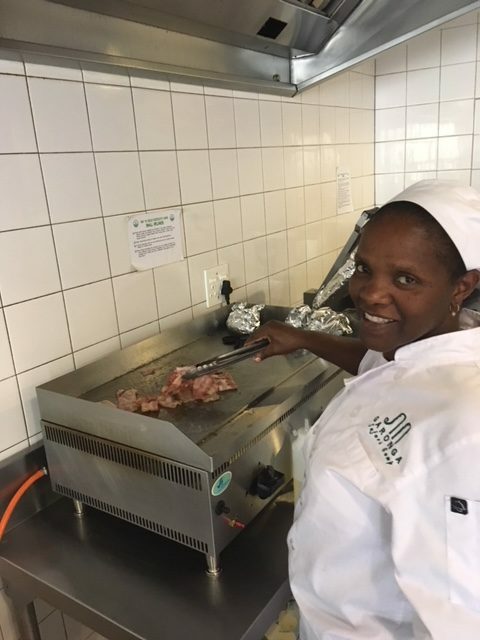 Phumzile started at Garonga about a year ago as a Breakfast Chef and she has progressed beautifully and is now more than capable of preparing dinners as well. 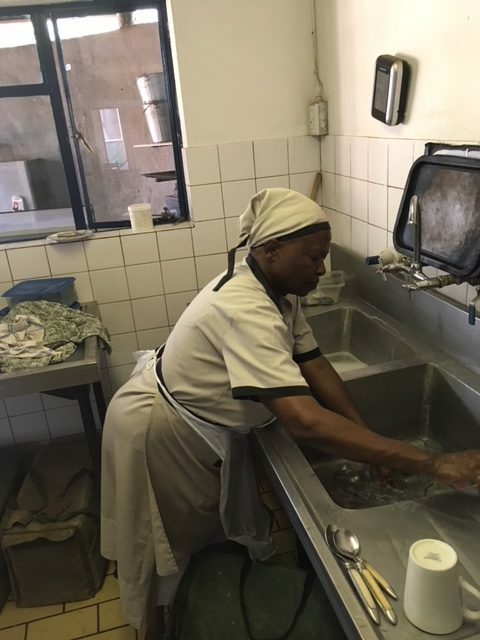 Paulinah (another ever faithful staff member) has been at Garonga almost 20 years and has overseen the scullery ever since she started. She also takes casual staff under her wing when they come in for short periods of time. Lee-Ann started consulting in 2015. 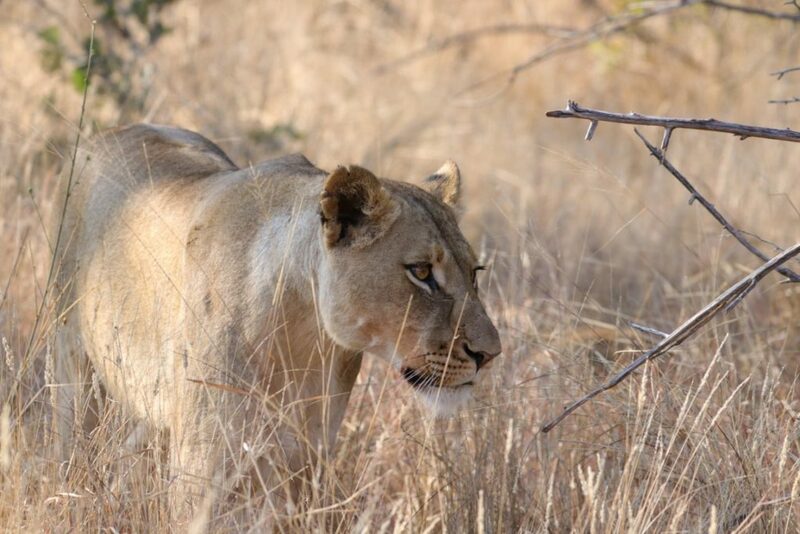 She comes up from Cape Town about 3 times per year for 10 days. She completely overhauled our food style and presentation when we reopened in June 2016 after our 3 months refurbishment. It has made a huge difference and the standard and quality of food and presentation has dramatically improved. Each evening at Garonga takes on a theme, and we rotate between private and communal dining. We do also cater for all dietary requirements on request. You can see more about our daily offering in our previous blog ‘A Foodie Traveller’s Delight’. Pour the boiling water the cocoa, stir to dissolve into the water and leave to cool. Heat the granulated sugar and water together for about 5 minutes, until the sugar dissolves and the liquid has reduced slightly. Remove the sugar mixture from the stove and whisk in the Amarula slowly until well combined. Divide the syrup and pour an equal amount over both cakes while hot. Place the cakes in the fridge to cool completely. Remove the other cake out of its tin and place the cake on top the caramel topped cake. Spread whipped cream on top of the cake in the tin. Just before serving sprinkle chocolate shavings on top and serve. 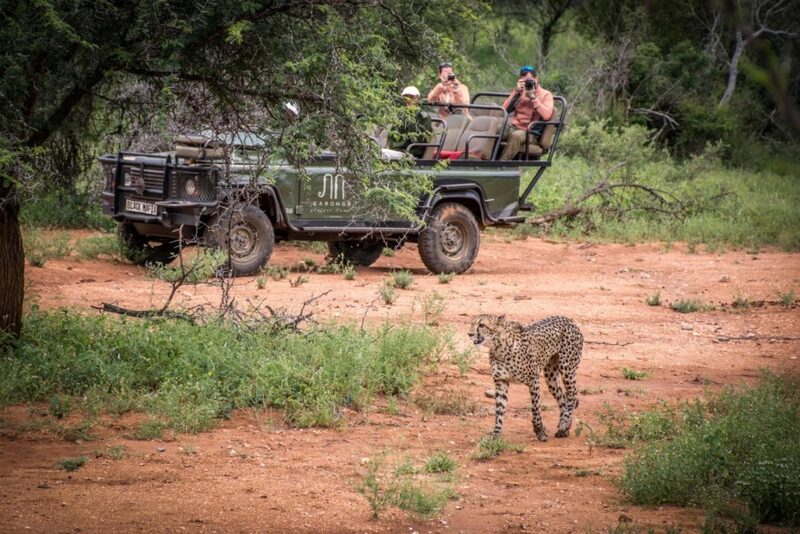 An African safari is an obvious dream choice for a photographer. Those priceless wildlife moments and the breath-taking scenery framed by rich sunsets lure them in with a creative hunger like no other. But first they must get there, and in doing so they bring equipment…lots of equipment! Here we offer a solution for professionals and an opportunity for the novice. It’s fair to assume that baggage is every travelling photographer’s bug bear. Different lenses, camera bodies, support systems, lighting accessories and not mention those all-important super binoculars all must find a space in the suitcase. For professionals it’s a drag and for budding photographers, or those simply wanting to ‘give it a try’, it can all seem like a bit of a mission. At Garonga we put the cherry on top of the photographer’s dream cake by launching a new photography rentals partnership with Africa Photographic Services which means you can now enjoy the convenience of renting your equipment Africa-side and even have the pleasure of it being delivered to your accommodation ready for your arrival. 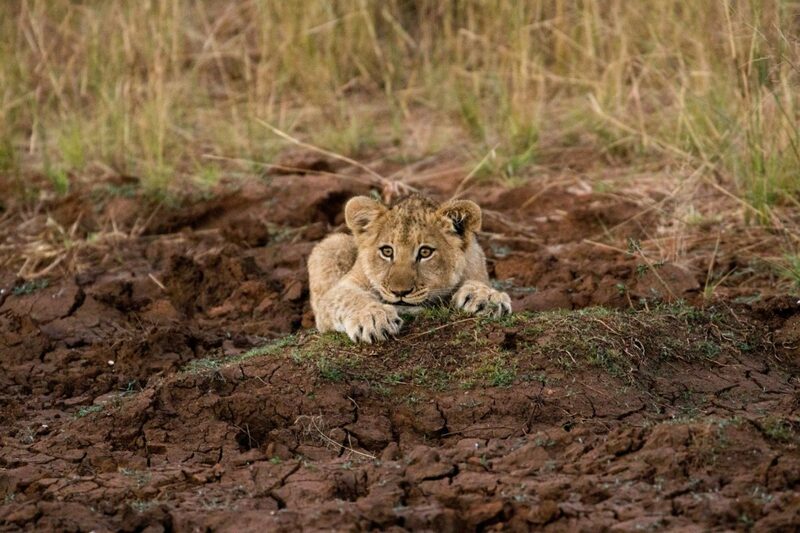 Luxury safari indeed! In case you needed more persuading, here are some top reasons you should choose to hire rather than lug! 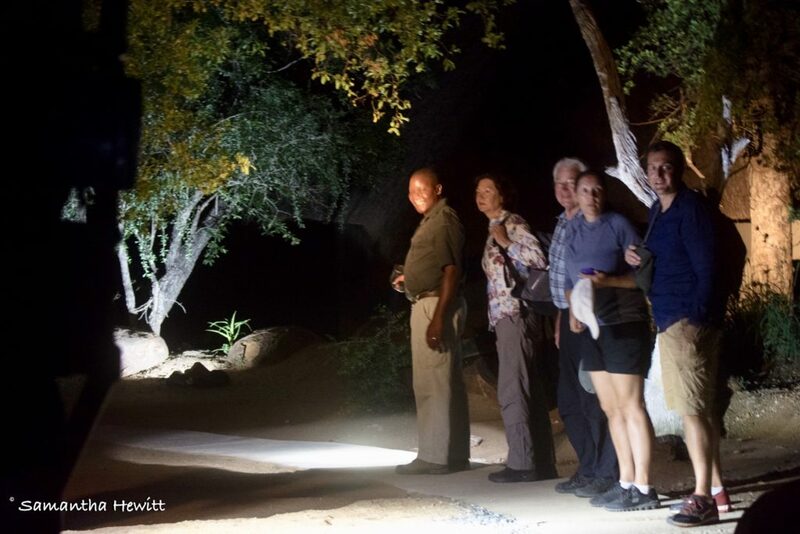 Many of our guests see their Garonga safari as an opportunity to dabble in the art of photography. But there’s no point spending large sums of money on fancy equipment which might only see the light of day once per year so save the cash and put it towards your next trip instead. Hiring equipment gives you the chance to try before you buy. See how you get on with a professional range before splashing out. Some people have their whole trip planned months, or years, in advance but we know there are many people that leave some things to the last minute. This is also where we can step in and help you out by organising your equipment at short notice. Especially if you do pack your equipment and then realise while on the flight that you have forgotten that all important lens. 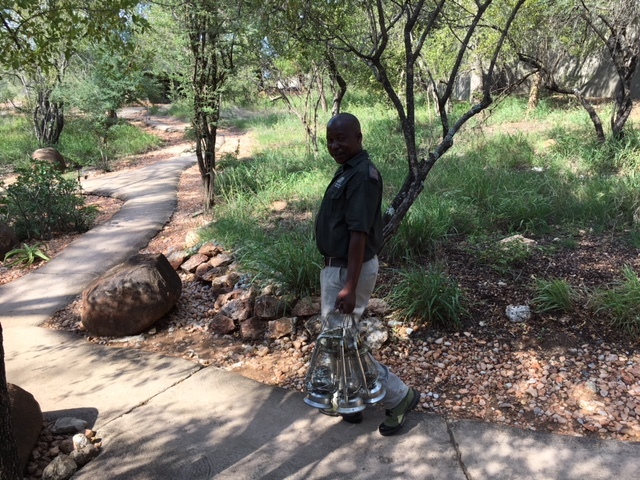 Not only will you NOT have to carry heavy and awkwardly shaped equipment across the globe with you, but you even have the choice of collecting/dropping off at the airport or it being delivered ready for you in your accommodation. Additionally, you have the ease of our online shop to make your booking and we are there for any advice you might need about the kind of equipment you should go for based on your level of ability. 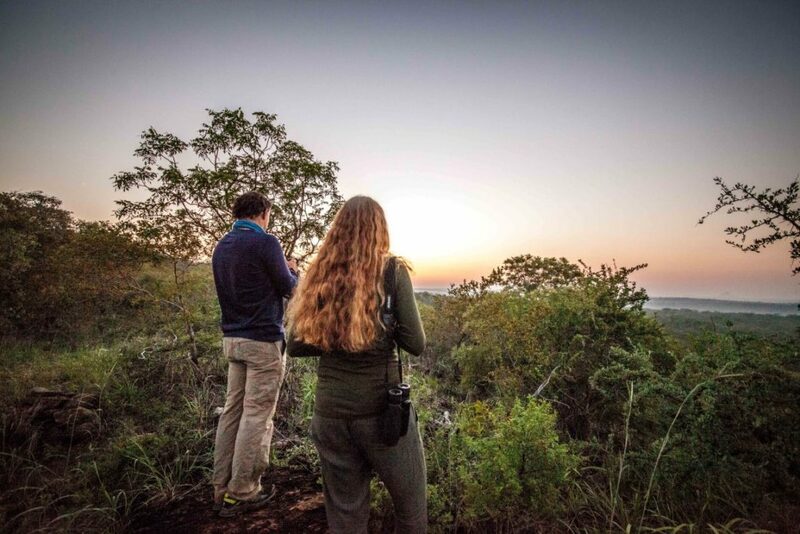 Weather you are a photographer in the making, an experienced hand or even if once you get here you just fancy a go…we can assist you to make sure you get the most out of your African adventure without the headache…not to mention backache! ‘Food Travel’ or ‘Culinary Tourism’ is a thing (Wikipedia tells us so!) with food ranking highly alongside climate, accommodation and scenery as the most essential elements for tourists’ experiences. 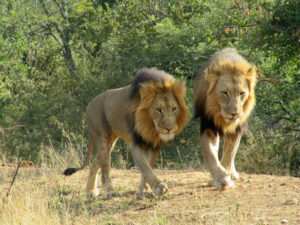 Now we know that our fellow safari-lovers choose an African safari with the main aim of seeing African wildlife in their natural habitat but let’s be honest, after a long sweltering day in the bush, there’s nothing better than a delicious, indulgent, nutritious and satisfying meal to put the cherry on top and complete your day. If that meal is also unique, creative and well presented in a beautiful location then you’ve got a winning combination. 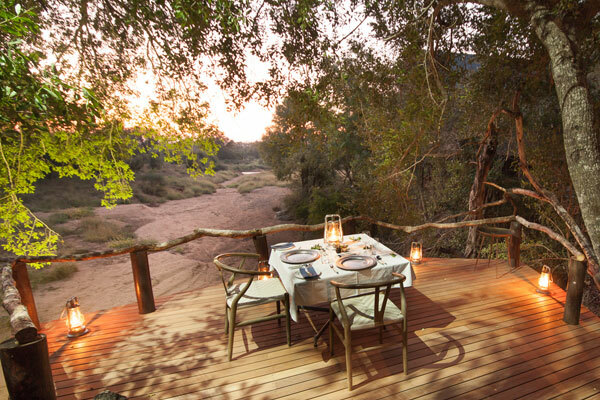 Garonga Safari Camp promises a ‘Safari for The Soul’ and the dining experience is a large part of that. 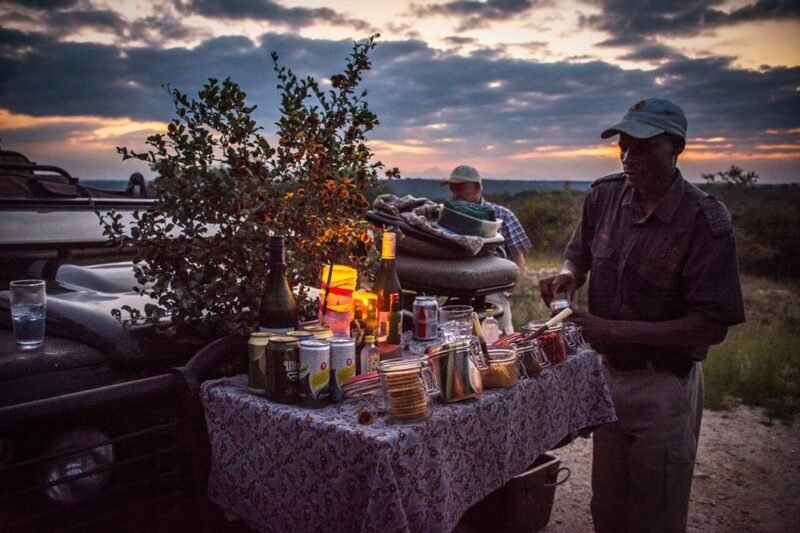 We offer various Africa-pretty locations within the camp for you to dine from including intimate dining on your private deck, the more social Bush Boma experience and our favourite ‘The Bush Breakfast’. The menu we offer is focussed on freshness and taste and values the roots of classic dishes created with African influence and flair, using locally sourced ingredients. Here we give you an overview of what your tummies can expect from sunrise to sunset, at Garonga. 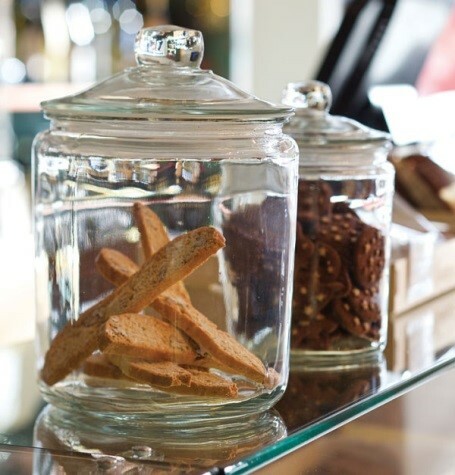 Early Morning Coffee and Tea: To get you going before your early morning game drive, we offer homemade rusks and biscuits alongside your morning cup of Joe, with fresh fruit available too. 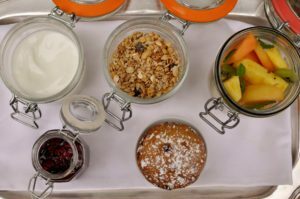 Breakfast: The breakfast buffet includes Greek yogurt with home-made fruit coulis (which changes daily) and you can ‘build your own’ muesli with a variety of seeds, grains and berries to choose from. Order a smoothie from the kitchen, which are available on request or indulge into individually portioned fresh fruit salads. 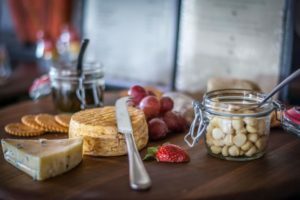 A platter of cold meats and cheeses are available as part of the buffet too. The hot breakfast is made to order and guests have a choice between a full English breakfast or eggs benedict served in an iron pan or one of our copper/silver dishes. 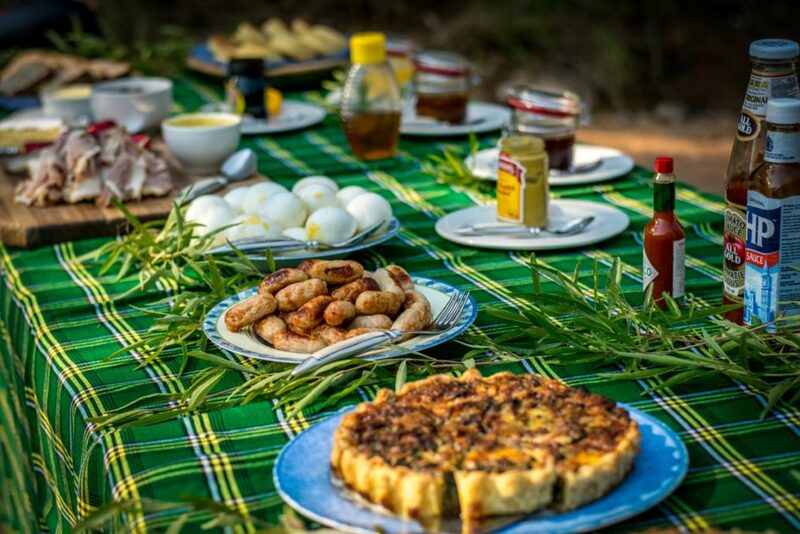 The Bush Breakfast is a unique way to enjoy your most important meal of the day. Set outside, in the wilderness, you can choose from a varied buffet including hot and cold options. 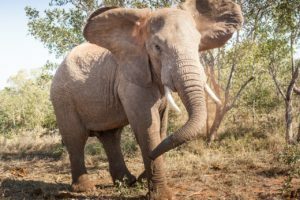 You’ll be surrounded by the sights and sounds of the bush-veld and may even have some unexpected wildlife join you for the meal. 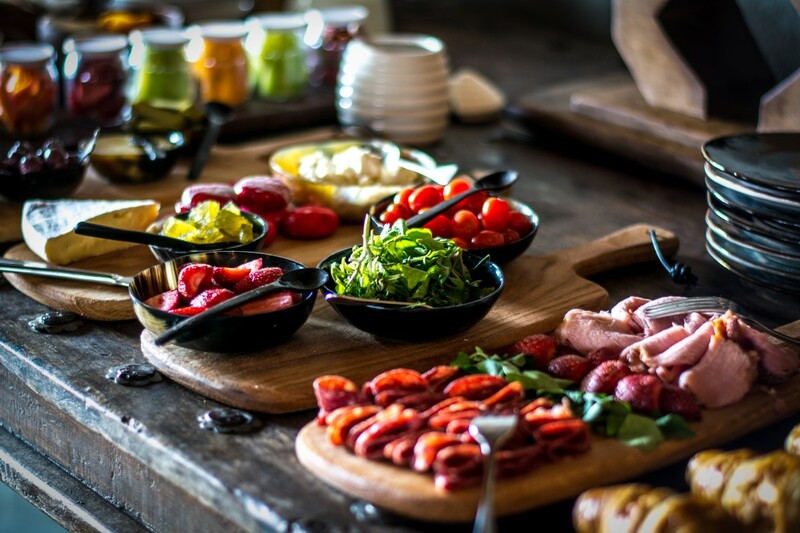 Lunch: Back at camp, you can build your own salad from a selection of fresh ingredients or choose our prepared salad of the day. You can also add the protein of the day such as roasted chicken pieces, char grilled beef kebabs or lamb cutlets with a piquant fresh herb salsa. Accompanying this there is a selection of homemade breads and a cheese board with preserves and nuts for guests to help themselves to. Afternoon Tea: Always feels like a treat and a good way to keep your sugar levels up through the day. This includes bite sized loveliness of both the sweet and savory variety. 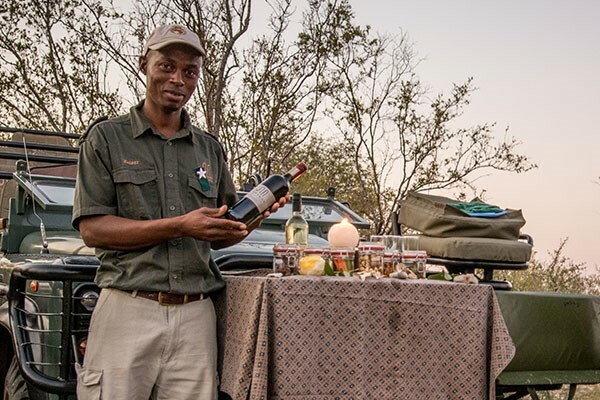 Game Drive Snacks: Served straight out of the safari vehicle this little pick me up is very welcome when out scouting wildlife in the bush. 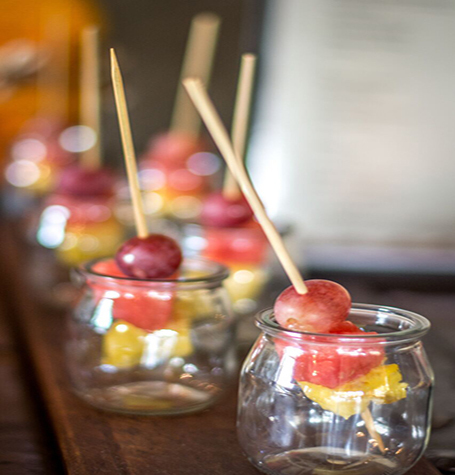 Served in glass jars on a wooden chopping board for guests to hep themselves meze-style, this includes savory crackers, biltong or droewors, salted roasted nuts or spicy corn, marinated olives and crudité. Plus wine….of course! 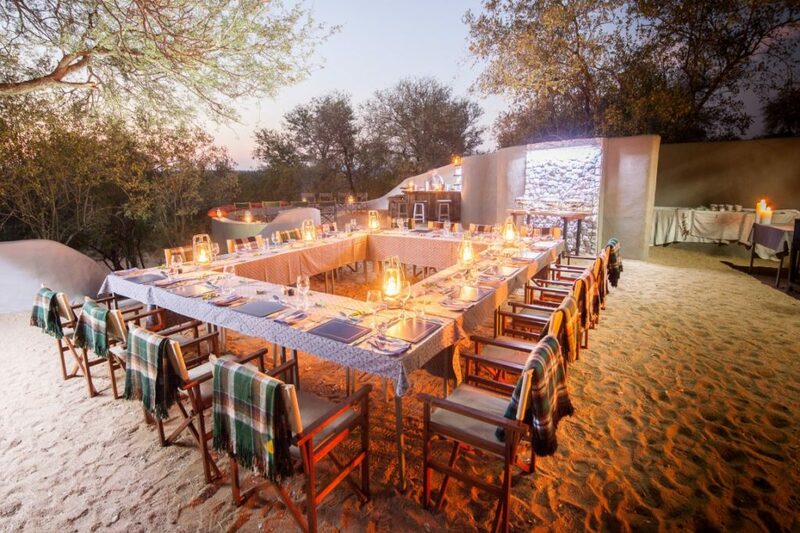 Dinner: Our Bush Boma sets the scene for an interactive and social dinner between guests, staff, guides and chefs. 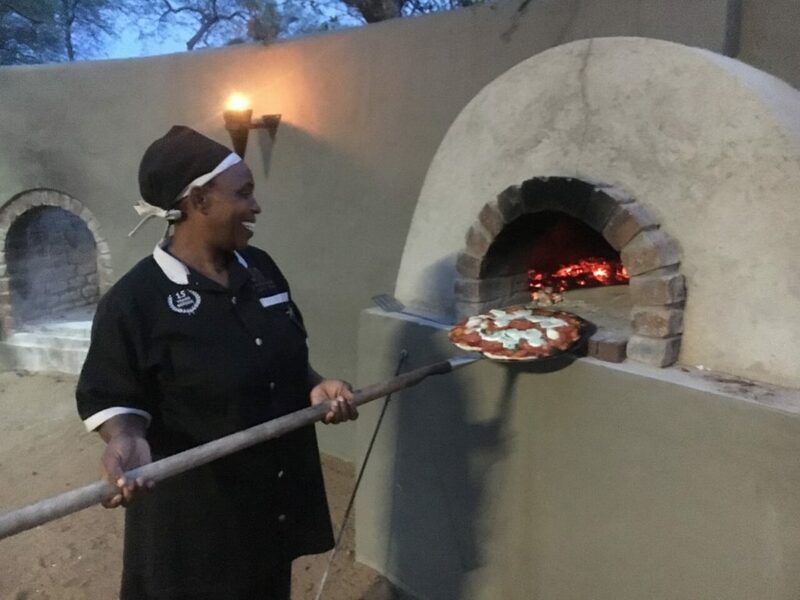 Fridays are probably our favorite at the Boma as we offer pizza, fresh from the oven, as a starter around the Boma Bar, combined with a classic potjie choice for main course. 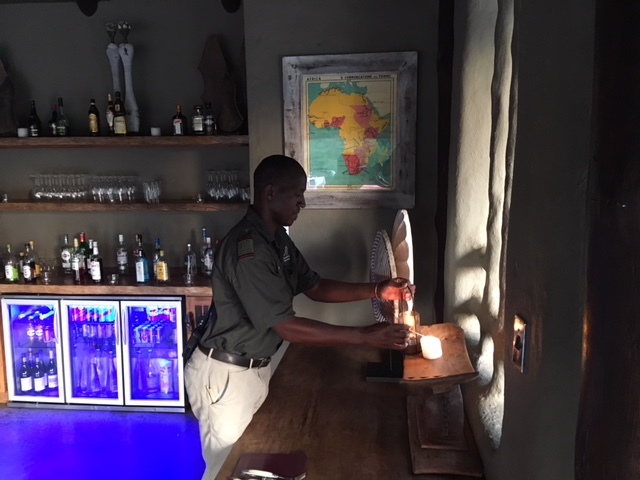 Every night is a different dining experience alternating between private dining, a communal setting around one large table in the main area under the stars, and of course the Boma. On Tuesdays we offer a tasty and indulgent BBQ, Thursdays is ‘Meat Night’ served on traditional wooden boards and on Sundays you will smell the spices drifting across the camp from our curry night. Importantly though, should you have any specific dietary requirements we are always willing and able to cater for all. 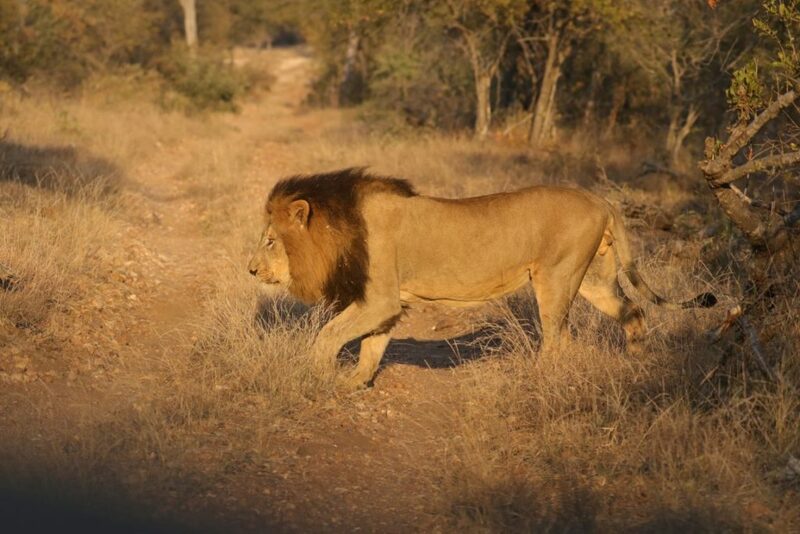 If you are seeking wildlife we have it, including ‘The Big Five’ and so much more. If you want to add that ‘icing to your safari cake’ (and yes, there is also cake!) then we invite you to come and enjoy that little bit extra with us at Garonga. Foodie travellers will not be disappointed, and nobody goes hungry, ever!